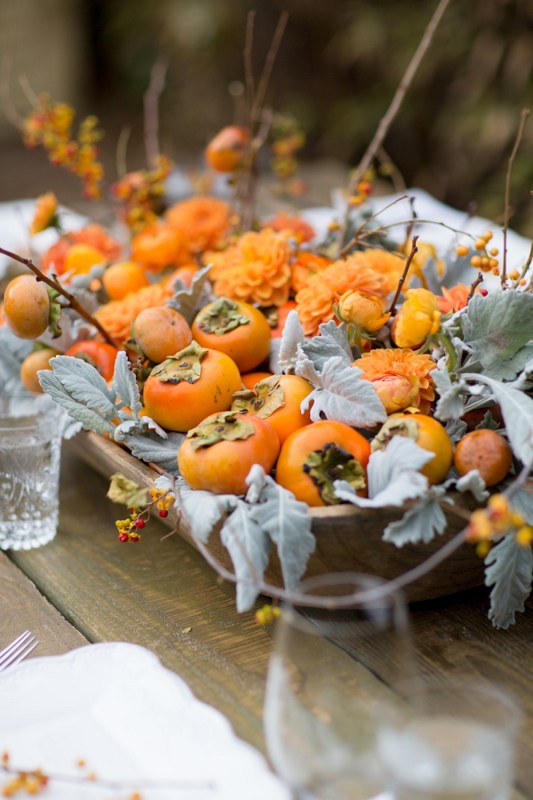 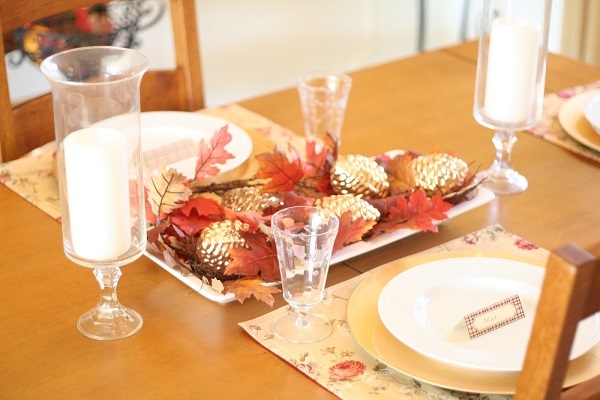 Thanksgiving may be right around the corner, but it’s not too late to put together some table décor! 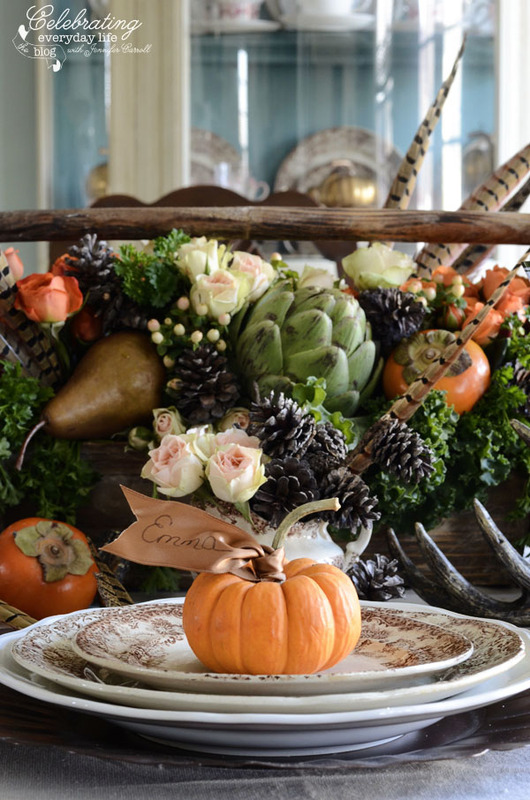 Though the turkey is the traditional star of the food-filled holiday, a centerpiece can go a long way to complete your dinner display. 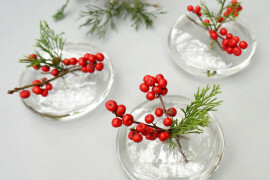 And fear not- they’re super simple to make! 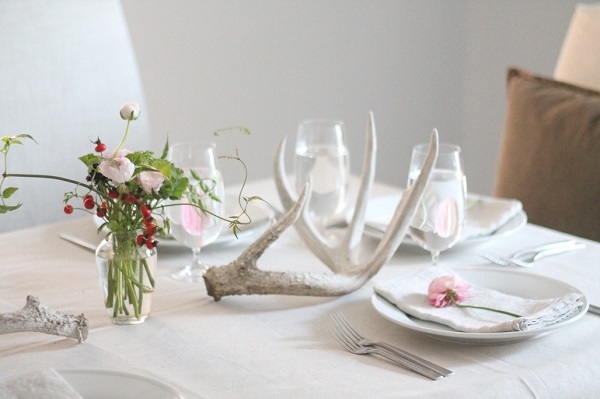 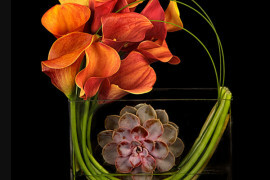 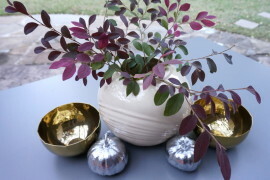 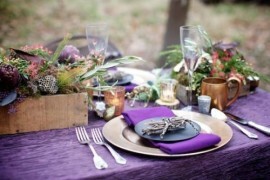 Here are a few DIY centerpieces for inspiration. 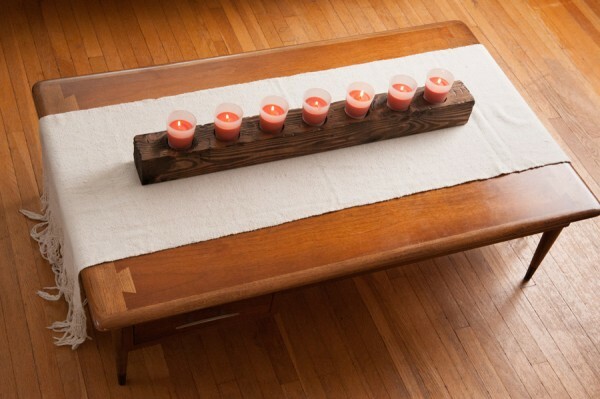 Jessica of Jessica Burns knows inspiration can come from anywhere. 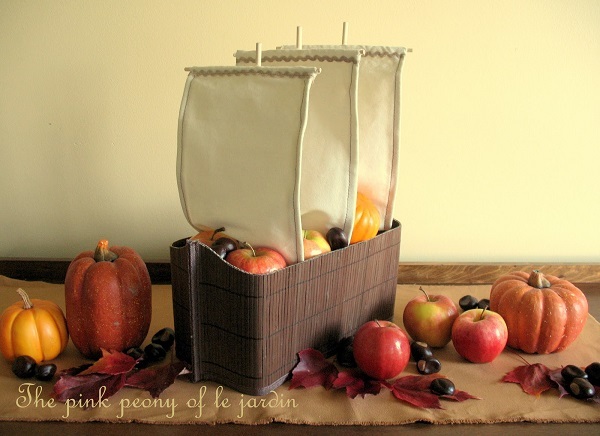 In this case, it was the produce section of the grocery store! 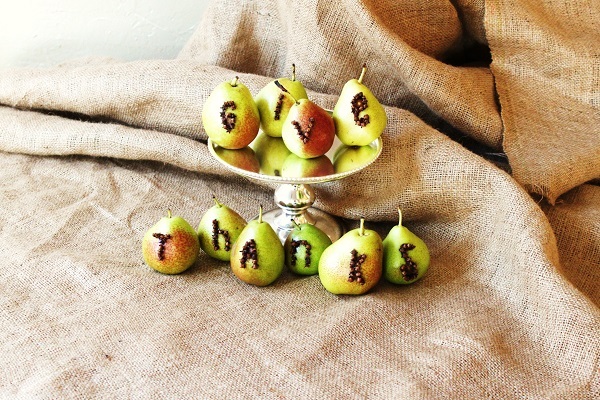 Whole cloves and pears complete this typographical DIY. 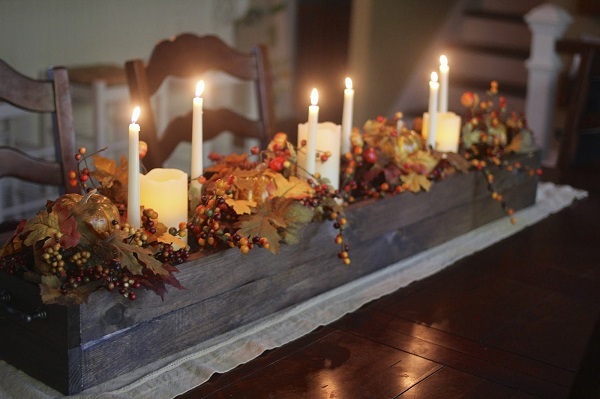 Equally stunning and rustic, this centerpiece from Mary of Fat Bird Designs did a little twist on the traditional candle display. 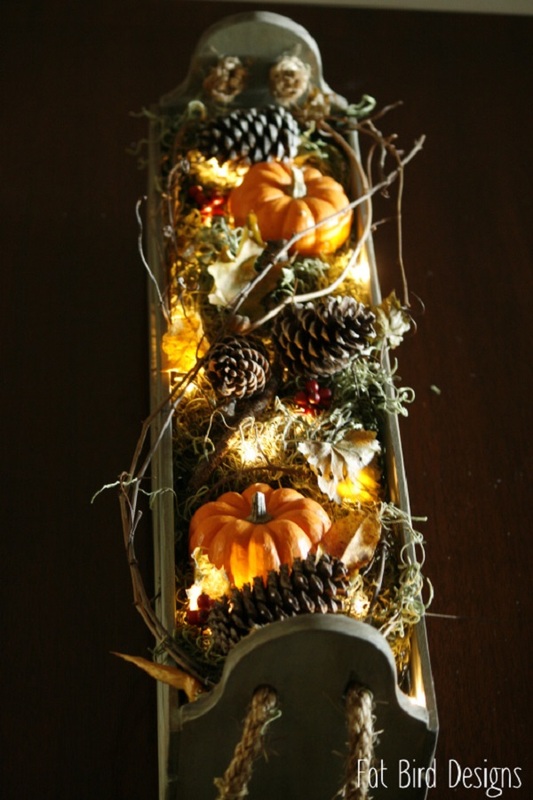 Instead, she relied on hidden LED lights to give a glow to her DIY. 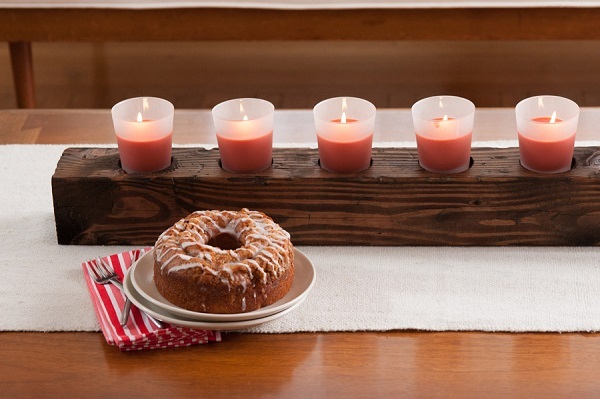 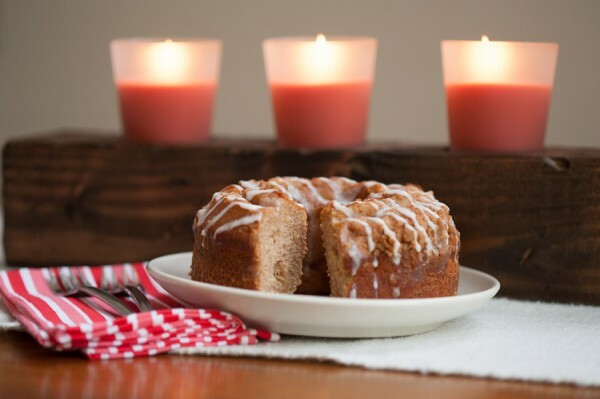 Featured on The Sweetest Occasion, this centerpiece combines reclaimed wood and candles for an instantly classic centerpiece. 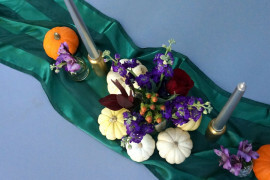 Feel free to use this DIY year after year- just swap out the candles for season-appropriate colors. 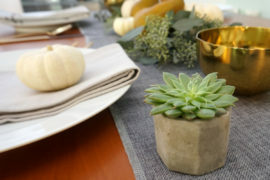 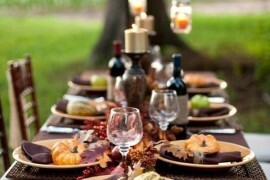 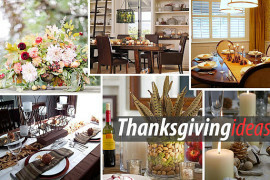 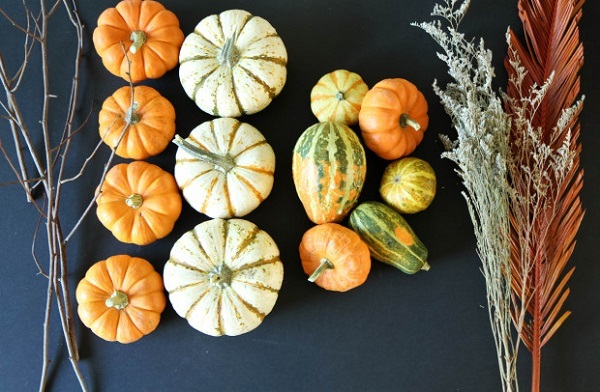 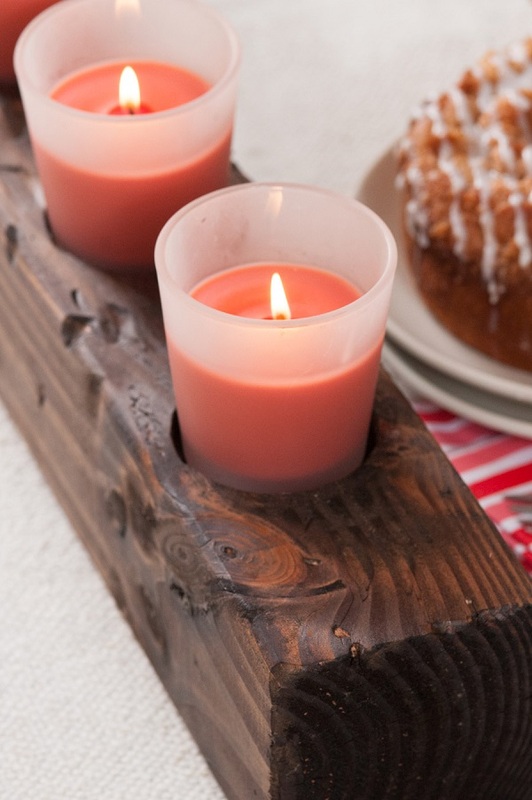 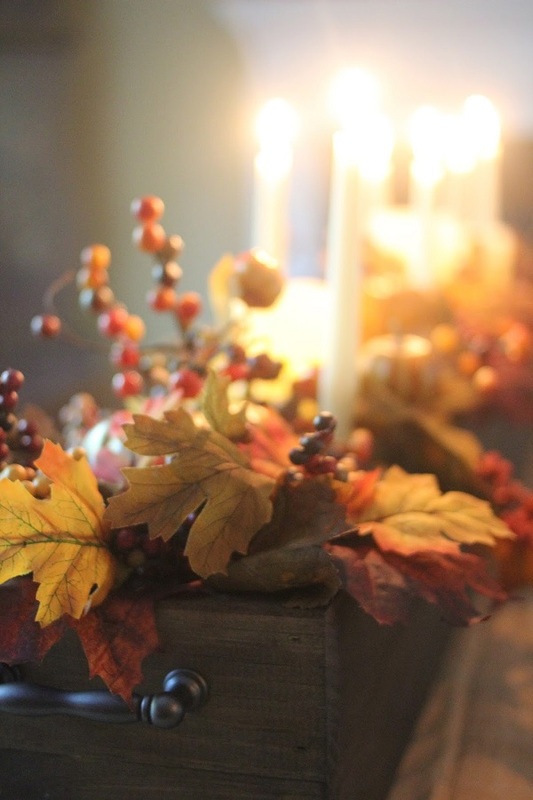 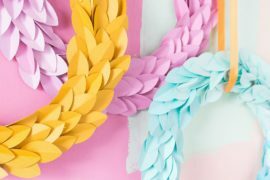 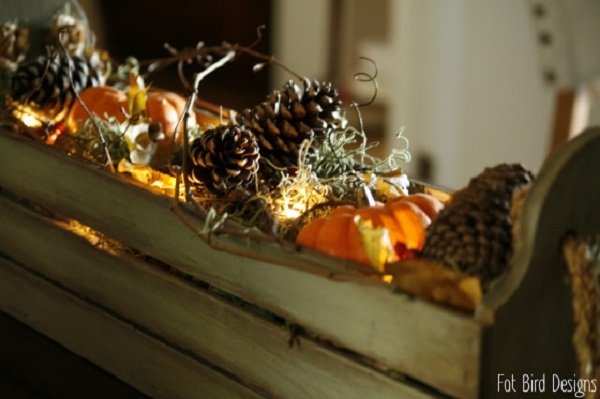 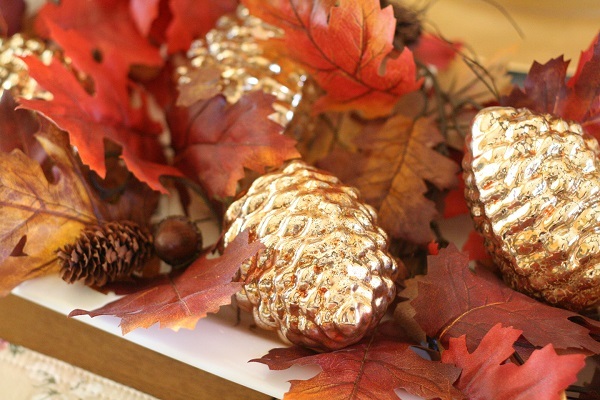 With these crafty Thanksgiving DIYs, you can have a stylish holiday table in a matter of hours! 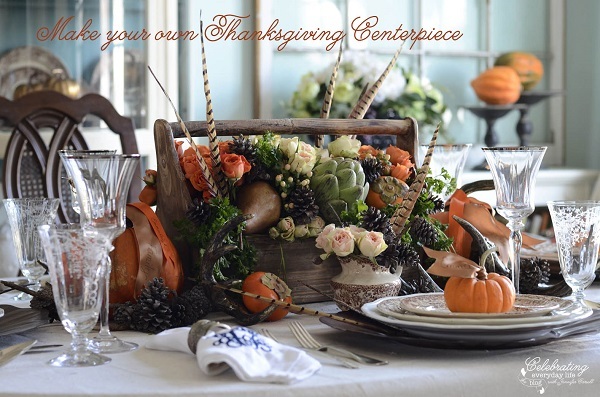 Which one of these centerpieces was your favorite? 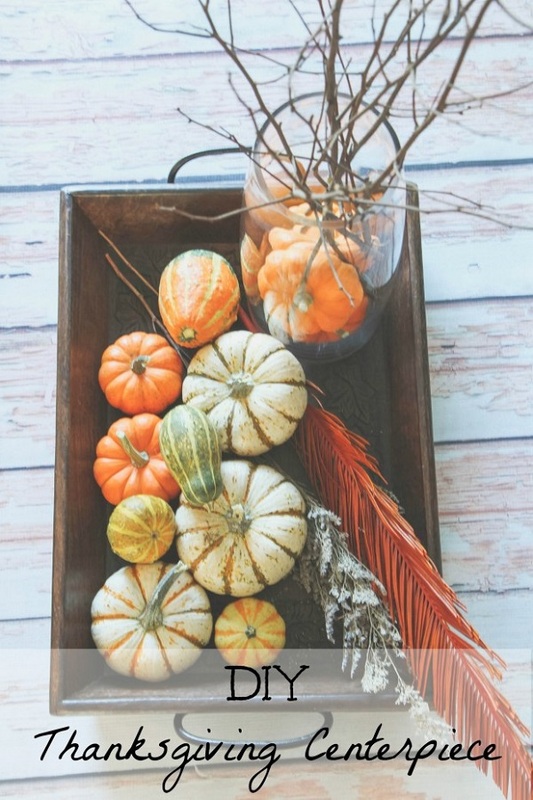 Tell us in a comment below.